The wave scrambler attracts kids by its funny wavy outlook! It provides a creative and fun ambience to the play area. The scramblers offer a multitude of fun in climbing, jumping and balancing through the metallic rails. It helps in stretching body muscles and improves the attention span. Those who are a little bit adventurous and playful would love this ride to the core. 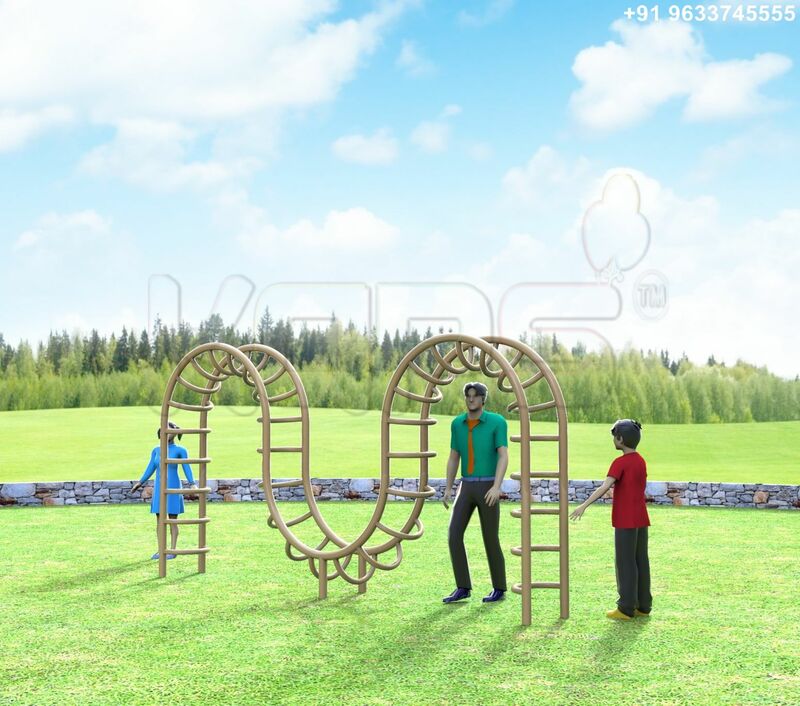 Kids are encouraged to climb up the ladders to one end to the other; it would be a greater enjoyment as they can have fun in groups. Playing in the scramblers is actually a fun work out for kids. The activity helps in balancing and body coordination. It is the perfect choice for outdoor play grounds to have a playful workout.